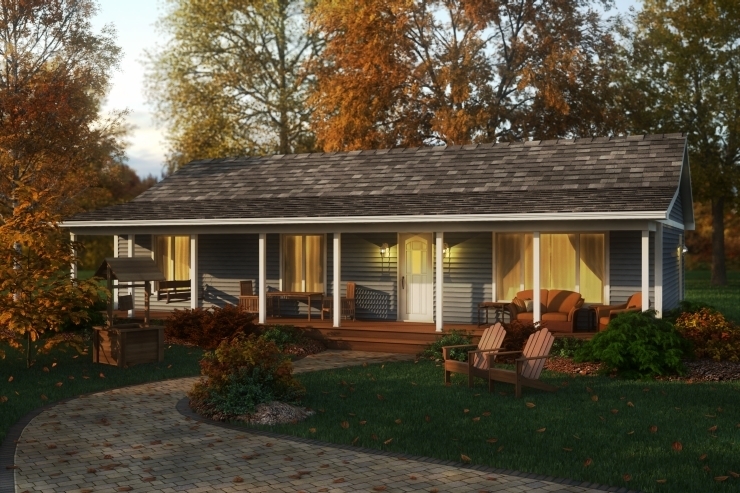 The popular and practical Riverstone bungalow design has three bedrooms with ample closet and storage space. 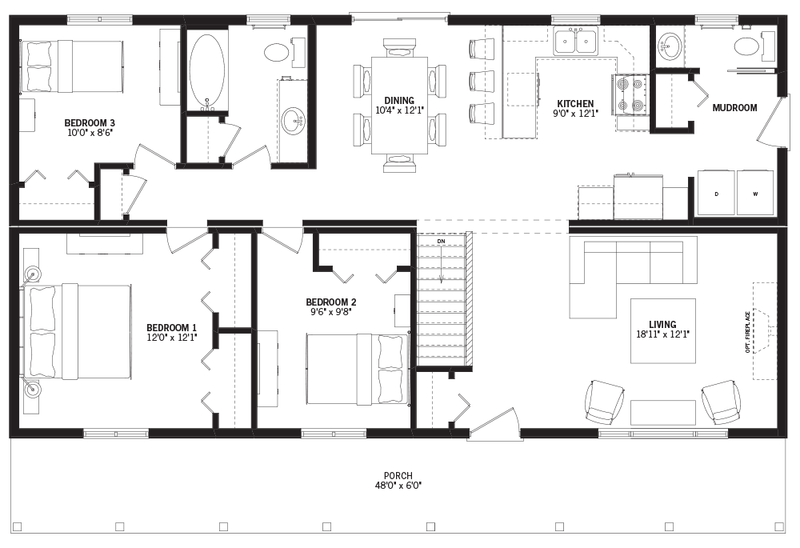 The large functional kitchen opens up to a dining area with a patio door. You can personalize the exterior of this home with vinyl siding, brick or stone, or a combination thereof.